The U3A is an educational charity that promotes life-long learning for the benefit of those who are no longer in full-time paid employment. It stands for the University of the Third Age. Now there is more time to learn, to extend skills with the camera or the computer, or to tackle a long-delayed project - and have fun in the process! The U3A, which is a charity, has grown rapidly because it meets a real need in each local community. Edenbridge U3A is part of a network of over 1,000 local U3A groups around the country, with a nationwide membership of more than 320,000. Edenbridge U3A was only formed in the summer of 2013, and we are proud that since then it has grown to over 200 members supporting 50 or so different groups. Although part of a national organization, we have the flexibility to operate in a way to best suit the members for our small, close-knit Edenbridge and district communities. We want you to be aware of how you go about joining any of our many and varied groups which may be of interest to you. As a member you can attend our regular monthly Speaker Meetings held at 2 pm on the last Tuesday of each month at Crockham Hill Village Hall. You are also eligible to apply to join any of the existing groups shown in the Study Group Contact List simply by contacting the Group Contact and registering your interest. If you have a difficulty in reaching a Group Contact for any reason then do please contact Brian Swift, groups@edenbridgeu3a.co.uk. There are no additional fees involved and Groups are self-funding. Only if group members agree and decide amongst themselves to hire a venue, employ a tutor, arrange an outing etc. is the cost equally divided. The word “University” in the organization’s title can be intimidating for some. There are no tests, exams or reports! Edenbridge U3A’s philosophy is that our group members are people enjoying a common interest and each other’s company in a relaxed and sociable environment. 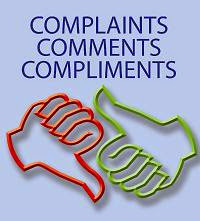 If you have an interest for which no group yet exists you will be given every encouragement to start one. Simply contact our Groups Co-ordinator (groups@edenbridgeu3a.co.uk ) about your idea and it can be advertised and promoted. 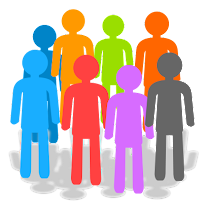 When there are enough interested people to form a group they will meet, discuss how the group wishes to operate and seek a volunteer to act as the Group Contact. It is that simple! There are other ways in which you can be involved if you wish to. There are rotas to carry out regular tasks at the monthly meetings, such as helping serve teas and cakes, the setting out and putting away of tables and chairs, helping to organize outings or social events or to become involved on the committee. Throughout the summer we also sometimes need volunteers to man a stand at local fetes to “spread the word” about the tremendous variety of opportunities to explore new interests, learn new skills and meet new people that membership can bring. 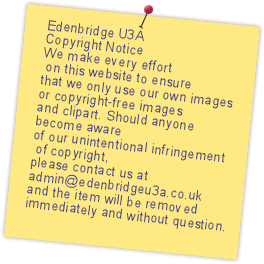 We do hope that you will enjoy and benefit from your involvement with Edenbridge U3A for many years to come.